Back in 2010, Amanda Lee held our first Couture Show at renowned Four Seasons Hotel. Eight years forward, we had the privilege to partner with them again for their second wedding show on the 5th of August 2018. 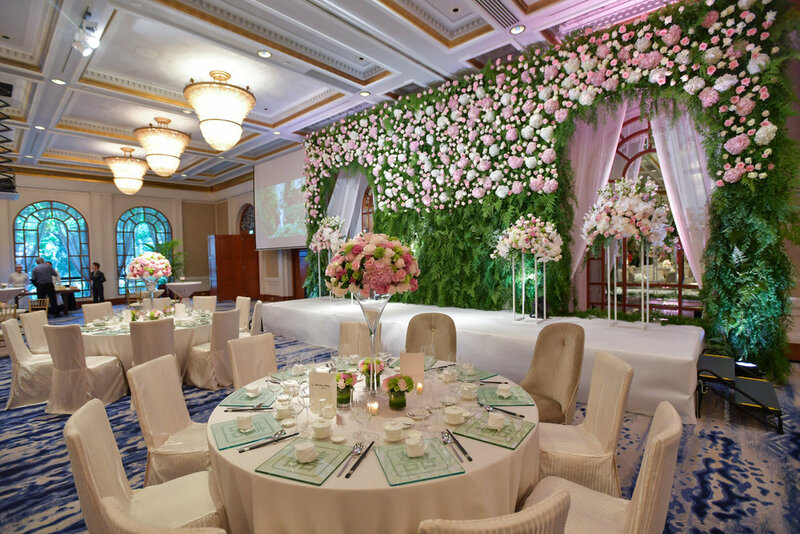 The luxury 5-star hotel revealed their new bridal themes, along with their newly renovated suites during the showcase. Our team on the other hand, took this chance to put together a special live demonstrations of our crafts, showcasing some of the beading techniques as seen on our gowns. 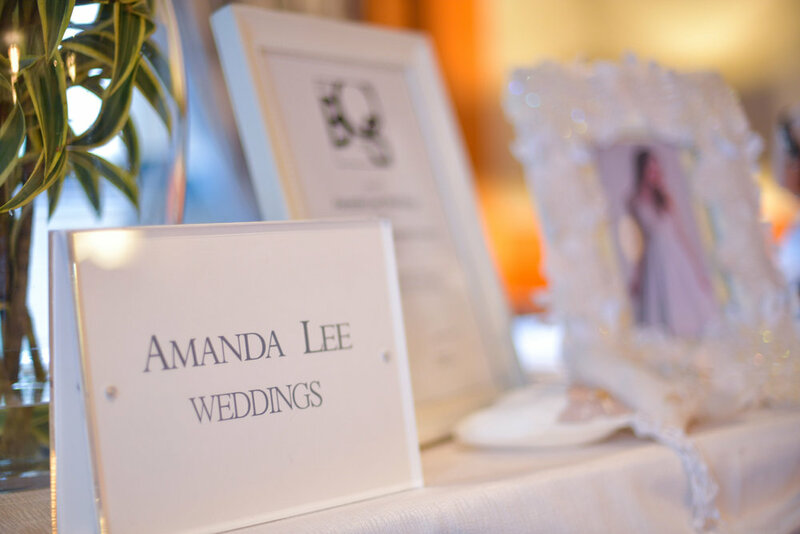 Know for her creativity in details, Amanda Lee, Designer-in-chief of Amanda Lee Weddings, sat down with a live demonstration of beadwork and embroidery. 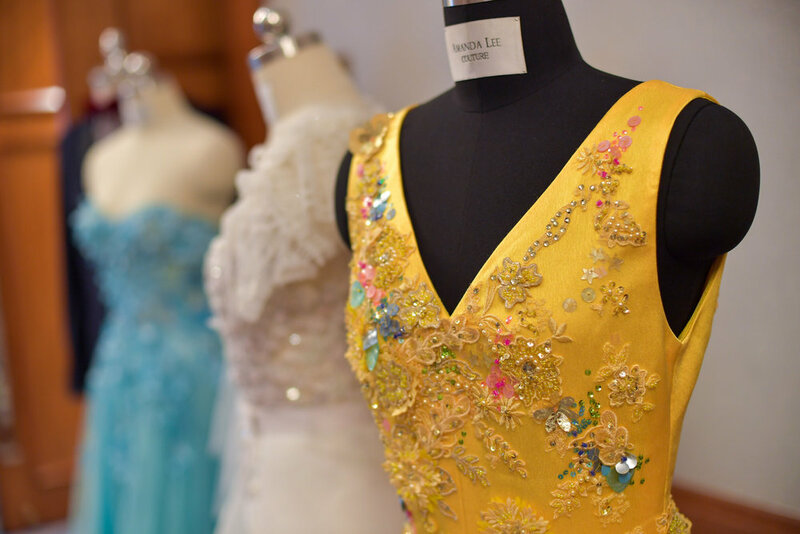 Guests of the event got an up close and personal session with Amanda herself, understanding more on hand beading and embroidery - an intricate and labour tasking craftsmanship that is commonly used on our gowns. 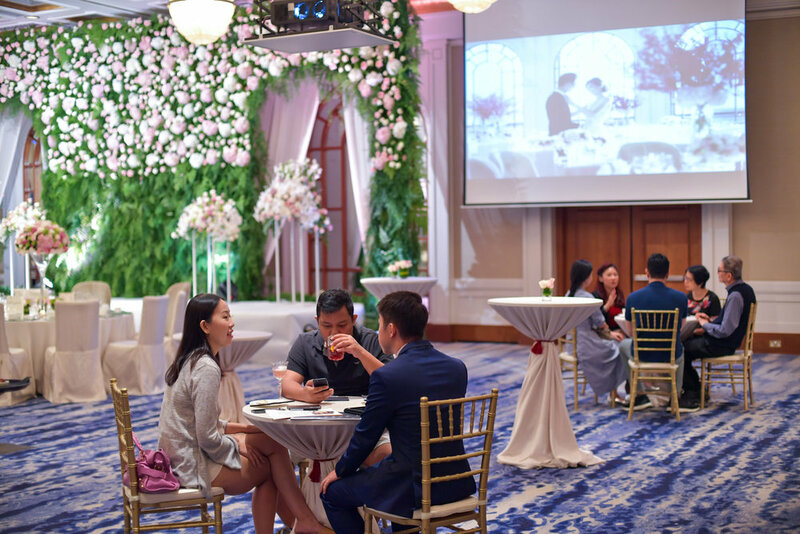 Guests at the event sampled Four Seasons' delectable range of delicacies by Chef Lam, Head Chef of Michelin- starred restaurant, Jian- Nan Chun. No celebration is complete without sweet treats and beverages! 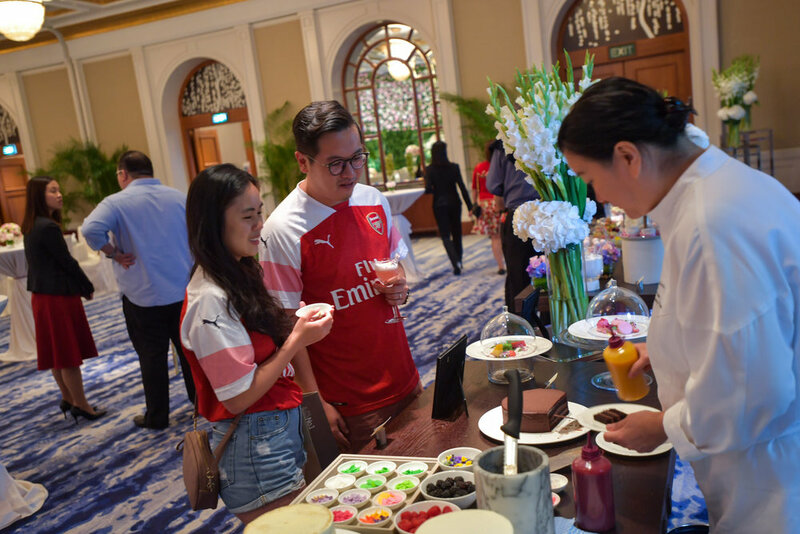 At the event, guests were treated to bite- size samples of fresh delicate pastries from Executive Pastry Chef, Audrey Yee. Head Bartender of One-Ninety Bar, Joseph Haywood, also presented his range of crafted cocktails and cold brews. 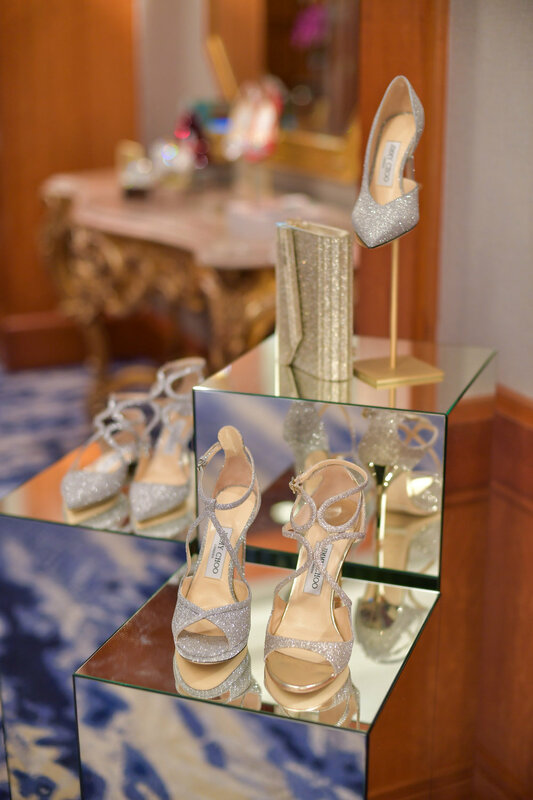 Another partner for the event, international label Jimmy Choo. displaying their range of favourites for brides-to-be. 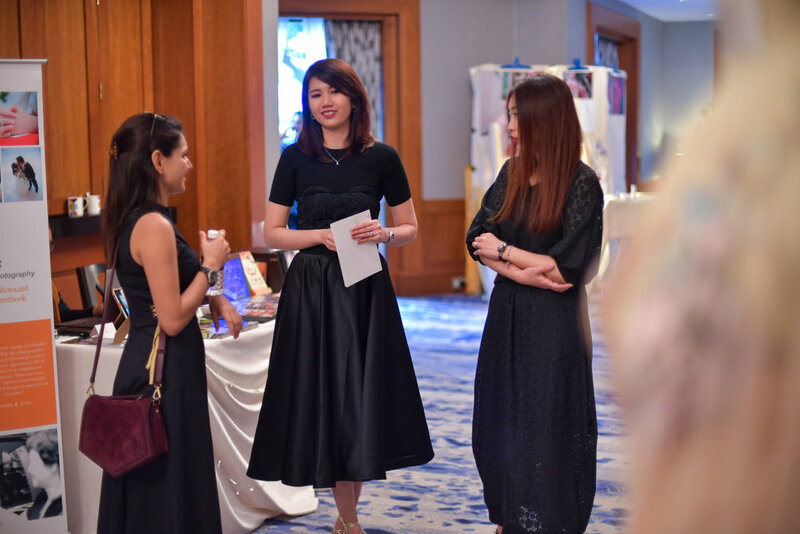 With Singapore Brides editors- Michelle, and Chin Leng. With Singapore Tatler Editors - Chloe, and Karishma. Special thanks to Four Seasons Hotel for your invite, and all who came down for the event. It was lovely meeting all of you!